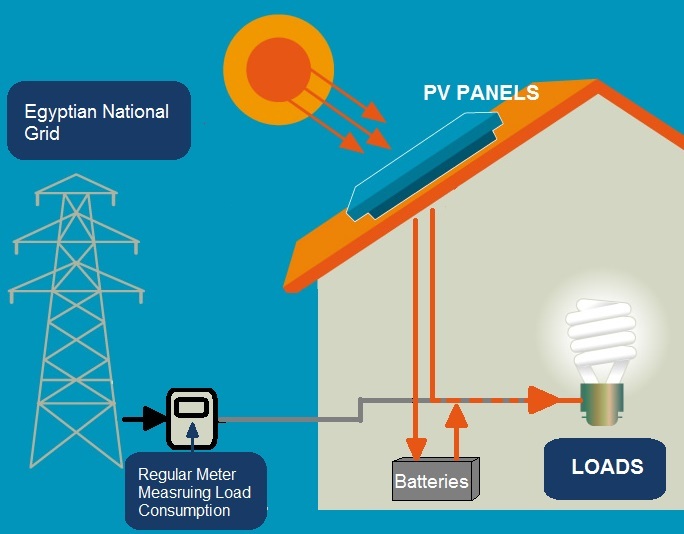 A PV system is usually installed for 2 main reasons; For rational people who care about their pockets, an On Grid PV system is a very profitable investment which yields returns up to 17% for 25 years. For others who care about quality of life, an Off Grid / Hybrid PV system assures a peace of mind provided by reliable energy source. All electricity generated from the system is sold to the government at a fixed tariff for 25 years. Ideal for companies and investors with large lands. 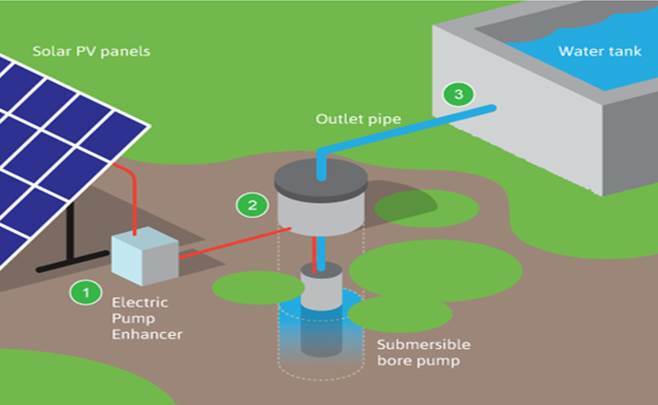 Return on Investment (ROI) for Stations >200KW is currently at 16%. Smaller stations have lower returns. 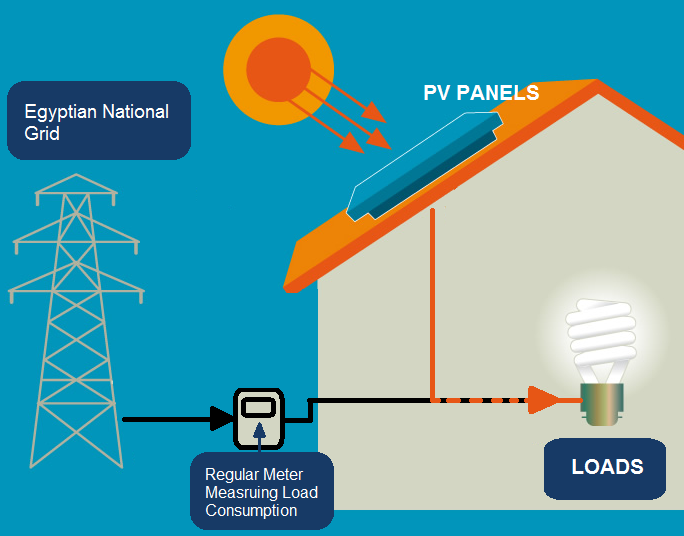 All electricity generated by the PV panels is consumed by the Loads (i.e. lights, computers, heaters). Self Consumption is feasible only when the cost of electricity is higher than the FiT you can receive by selling to the National Grid.I.e. 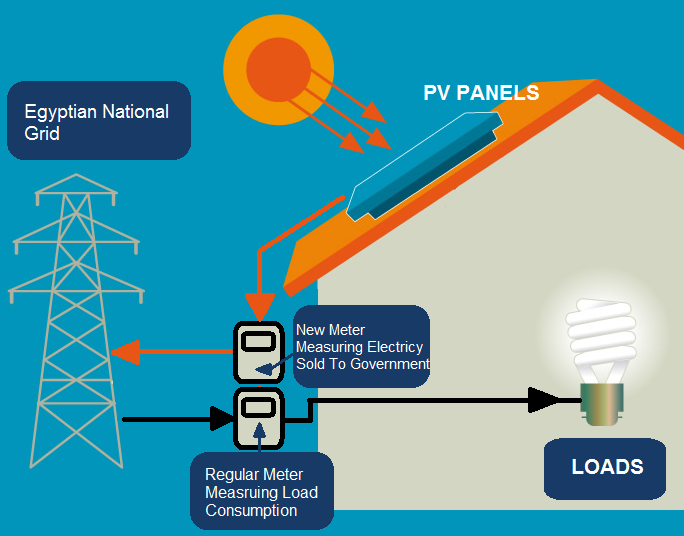 if the price of electricity in 2019 is expected to be EGP 1.00, then it is better to install a self consumption system than an FiT system that pays EGP 0.97 for 25 years.According to the Ministry of Elect., prices of electricity is increasing steadily until 2019, and subsidies is likely to be completely removed by 2025.
ideal for small homes that have no electricity. 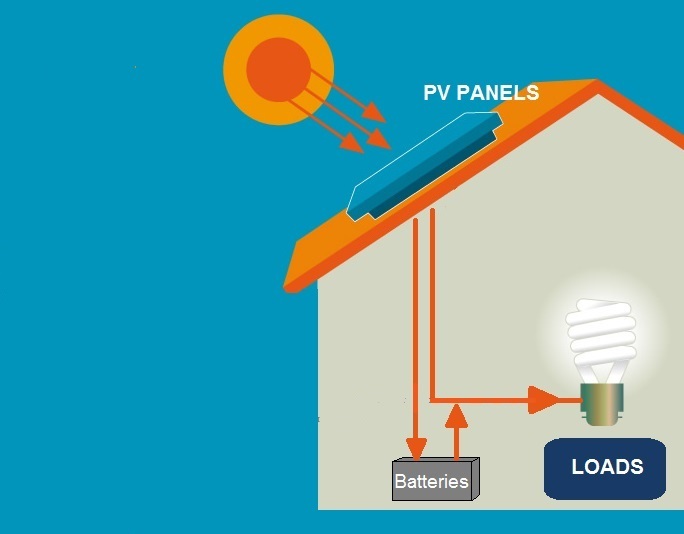 All electricity generated by the PV panels is either used for the loads or saved in the batteries to be consumed by the Loads during the night. Ideal for places with light loads, since batteries alone cost between 20% to 80% of the CAPEX, and its lifespan varies from 2 to 3 years depending on whether it is used daily or just for emergencies. payback period is 3 years, then free electricity for at least 22 years. 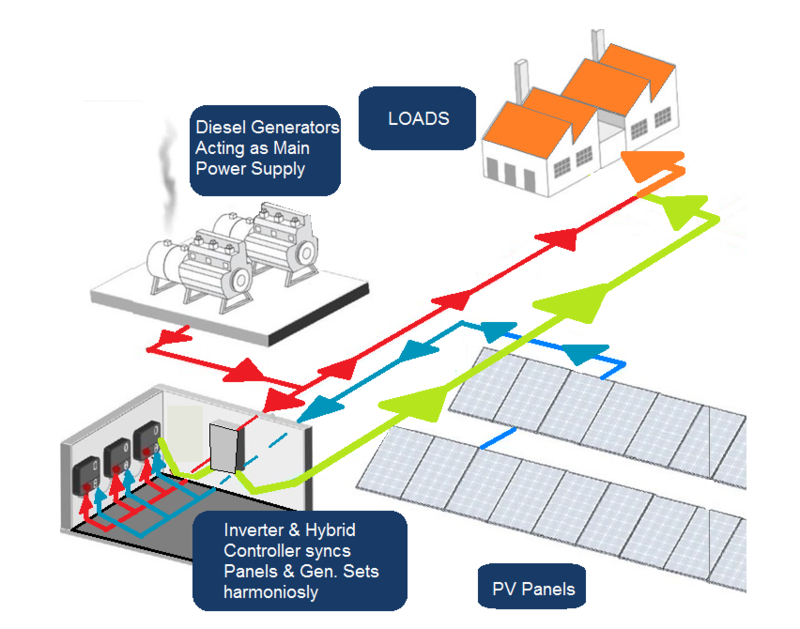 Hybrid systems work especially well with large industrial complexes and/or factories that rely solely on Diesel Generators and operate during the day and night. Ideally, loads should start at 0.5MW. This is the more profitable option than stand alone diesel generators, especially since the expected cost of fuel by 2019 will reach EGP 4/Liter.